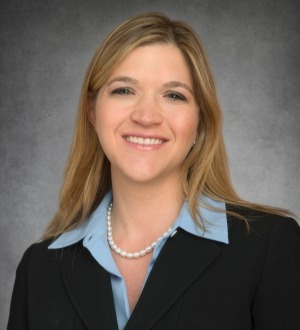 Catherine W. Anglin focuses her civil litigation practice on complex business litigation matters, including toxic tort and products liability asbestos litigation, environmental law, construction law, and insurance defense. In asbestos litigation, she represents both product manufacturers and premises defendants. Catherine received her undergraduate degree in environmental science from Georgia Tech in 1996 and her law degree from the University of Tennessee College of Law with honors. During law school, she was a member of the Tennessee Law Review and the Environmental Law Moot Court team. Prior to practicing law, Catherine worked as an environmental scientist for 13 years planning, conducting and reporting results from soil and groundwater contamination investigations. Catherine’s construction experience comes from overseeing a $20 Million levee rebuilding project south of New Orleans, Louisiana after Hurricane Katrina as the site’s Quality Control Manager. In 2009, Catherine traded in her hard hat and steel-toed boots for suits and heels to begin practicing law. She joined the firm in August 2009. Catherine is a 2016 graduate of the Tennessee Bar Association’s Leadership Law program. She is a past President of the East Tennessee Lawyers’ Association for Women and a past Chair of the Tennessee Bar Association’s Environmental Law Section. Catherine was selected by her peers for inclusion in The Best Lawyers in America in the area of Environmental Law and has been selected as a Knoxville Top Lawyer in the same field for several years. In addition, she has been recognized as a Mid-South Rising Star by Super Lawyers for the past two years. Catherine lives in Knoxville with her husband, Brian, and daughter, Caroline.